In recent times, though, Scott has been confronted by a challenge more daunting than any road race; when your days and nights are spent caring for the woman you love as she slowly falls apart, pounding 26.2 miles of hard tarmac is a walk in the park. For 19 years, Scott has been married to Dame Barbara Windsor, a woman whose charismatic presence on screens both large and small, from the bra-popping ingenue of the Carry On films to the matriarch of Albert Square, has made her a gold-plated national treasure. She’s a local treasure, too—a Marylebone resident for three decades, Barbara is a familiar, friendly face around these parts. “She’s part of the fabric here,” says Scott. “Walking up and down the high street, everyone knows her. At the moment, though, she’s pretty convinced we live in Stoke Newington.” He laughs. Sometimes, you have to. Now, as he attempts to raise £100,000 for Dementia Revolution, this naturally private, publicity-shy man is having to speak openly to the media about Barbara and the disease that’s destroying her. “The three years I spent at drama school have come in handy—putting on that front—but it’s not where I’m comfortable,” he says, but he knows that if his candour prompts donors to click on his fundraising link while also offering some small connection to other people who find themselves in the same distressing circumstances, his discomfort is a minor consideration. No amount of fundraising will make Barbara well, but that is absolutely not the point. “People keep seeing me, and Barbara’s name—but this is not about her,” says Scott. “We’re talking about something that affects our entire society. It’s too late for her anyway, we know that. But let’s think about future generations. I’ve got two great-nephews, Nico and Joey. I hope they never have to witness what I’m witnessing with someone I love. If all of us can be a part of that, make a little contribution, then we’re doing a great thing.” His contribution will be to run a marathon just six months after his first attempt at jogging. Yours might be to sponsor him to do so. 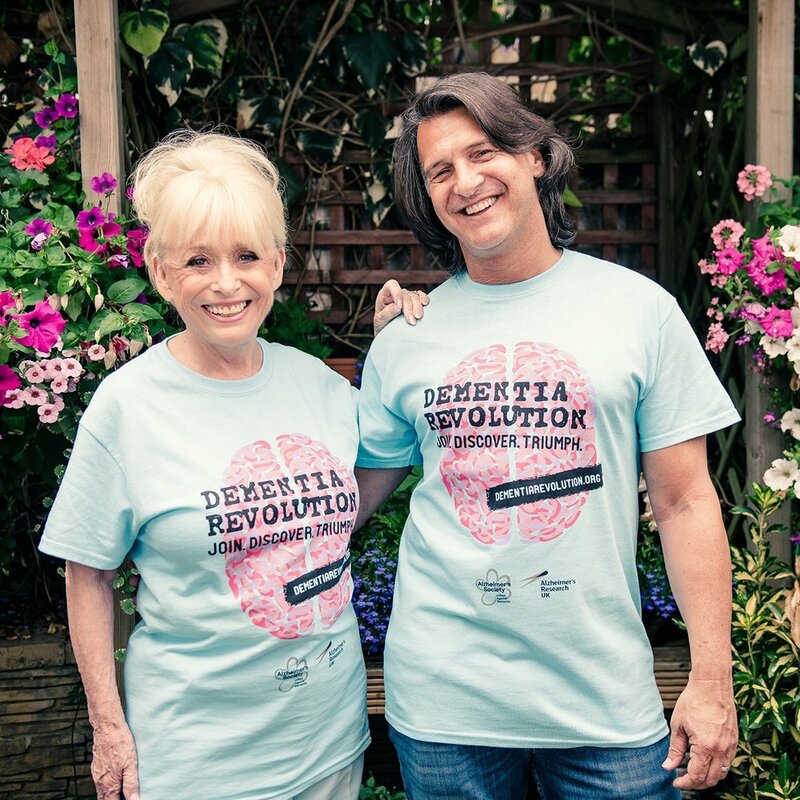 The wide impact of dementia is reflected in the fact that of the eight EastEnders actors who are running with Scott in the London Marathon on 28th April, three have seen its horrors up close. He says: “There’s Emma Barton, who plays Honey Mitchell, who lost her uncle to this disease only last year. There’s Tanya Franks, who plays Rainie Cross, her stepdad is living with it. Jane Slaughter—Tracey the barmaid—she lost a relative to it, too.” Joining them are Adam Woodyatt, Jake Wood, Natalie Cassidy, Kellie Shirley and Jamie Borthwick. Together, they will be running as Barbara’s Revolutionaries.